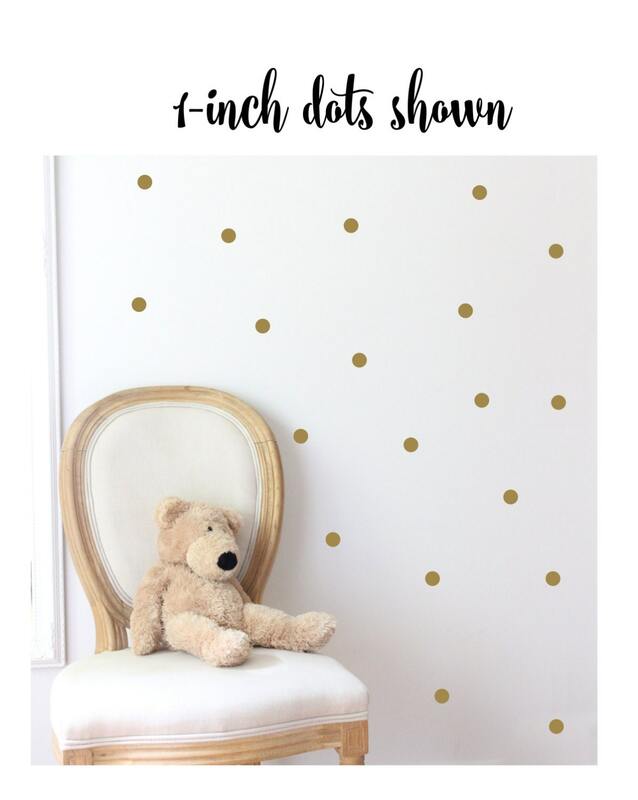 Polka Dot wall decals for the nursery a super quick, easy and economical way to decorate. And it's super chic! The larger the wall, the bigger the dot. If it's a small space use the 1 or 2-inch dots. 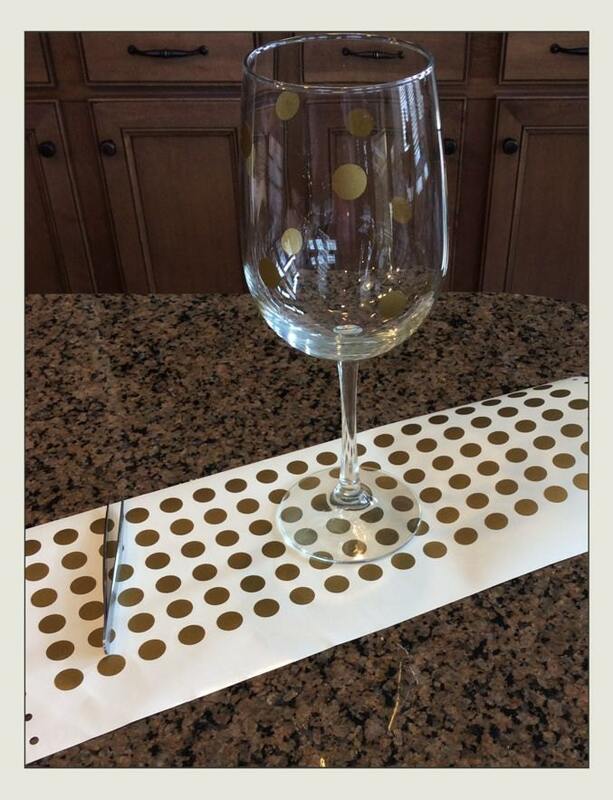 And polka dot decals are so much fun, it's just as easy to use the 1/2inch size to turn any $3 wine glass into kate spade style stemware. 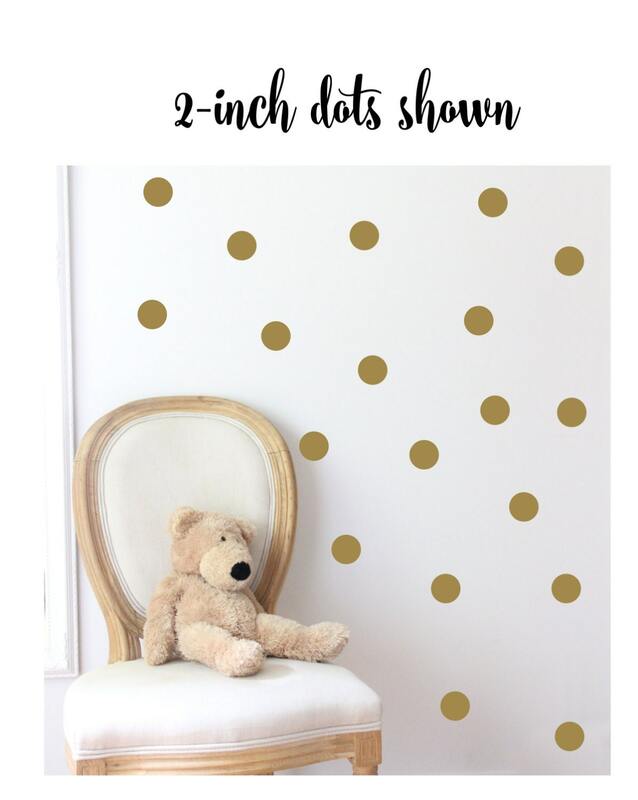 There are endless uses for DIY peel and stick polka dot decals. 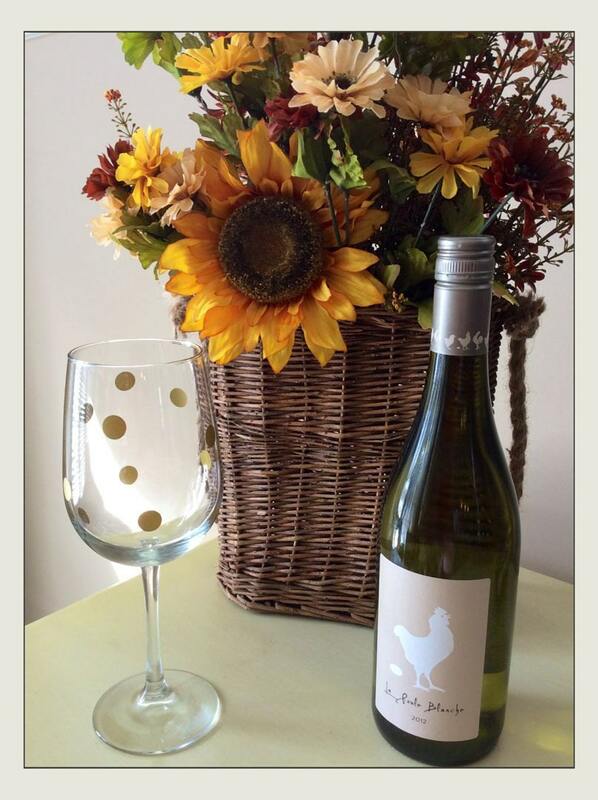 Each package is a sheet of polka dot circle stickers sized for everything including wine glasses, mugs, tablets, laptops phones, mirrors, etc. Please note, if using on glass or plastic drinkwear I recommend hand washing. I put mine in the dishwasher but the polka dots won't last forever. I usually get a year or two. 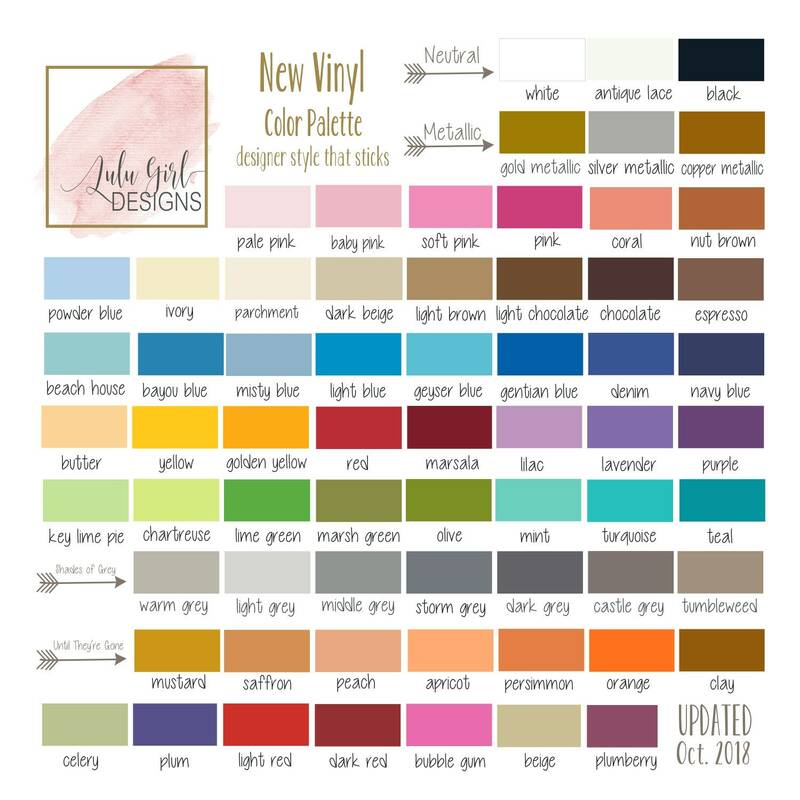 All designs shown in gold metallic.